Slow Food Anglia together with Slow Food members in both Norfolk and Essex run a series of educational visits and workshops which started in early 2016, they are aimed at children between the age of 7 and 16. Those taking part at that time in our tutored foraging and wild food workshops which were be run by Claudio Bincoletto who works with the RHS and is an expert forager, ethno botanist and chef also learnt to cook with him or a resident professional chef at the different locations we visit. • Slow Food attach very few conditions to the gardens but the gardens must be maintained as "Slow Food Gardens"
• That the garden crops must be edible, or if non edible plants grown that they are companion plants to prevent pests on edible crops. • That the gardens are grown organically where possible. • That at least some of the food is eaten by the young people. • The Jamie Oliver Foundation provides Slow Food groups who take part in educational projects with free videos and recipes. • Slow Food are partnered with the RHS – the RHS whilst teaching growing do not teach the cooking of food. • We provide volunteer Cooks to help work with the children in Food Tech. • We provide volunteer Gardeners to install the sites. • We provide volunteer nutritionists once we have formed parent’s groups, this embedding the culture of growing and eating fruit and vegetables on a budget and in a sustainable way. We are now working with several local voluntary organisations to provide talks to their members about food issues including sustainable food sources, food waste and environmental impact on food production both in east Anglia and the UK. We also have now close ties to student bodies in the University of Cambridge and the University of East Anglia where we now have Slow Food Anglia at the UEA hub group and we are now working on projects at both Universities along with these groups as well as helping set up events and workshops with them. During 2015 Slow Food Anglia took part in several events in both the UK and in Italy, the Slow Food Marche region in the east of Italy and Slow Food Sicilia signed twinning agreements with us in East Anglia and we will work together in 2016 on several projects including organising visits by school children from Italy to schools in the UK and vice versa. These visits will include visiting local farms, small holdings, local food co operatives and organisations in each country which promote sustainable methods of agriculture and food production. 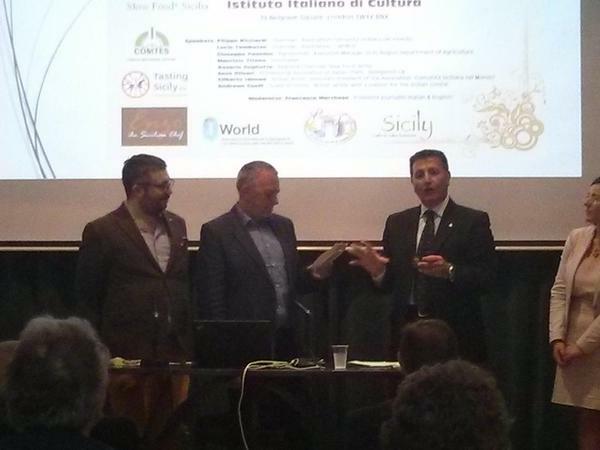 Along with Slow Food Norwich we will had our first dedicated food festival in the City of Norwich in August 2016 and then held an exciting event together with Slow Food Malta and Sicily, the first Slow Food Mediterranean conference on Malta in October 2016. In 2017 we held a dedicated Slow Food festival at the Holkham estate in north west Norfolk, when over 3,000 visitors cam on the day.